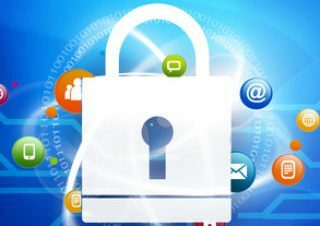 The 7th edition of the Africa Domain Name System Forum (AFDNS) will be held in Gaborone Botswana from 22nd to 24th July 2019. The forum will be hosted by the Botswana Communication and Regulatory Authority (BOCRA). 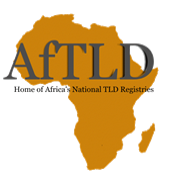 The Africa Domain Name System Forum is an annual open event for stakeholders in the Domain Name Industry in Africa, organized by Africa Top Level Domains Organization (AFTLD), the African Registrars Association, and the Internet Corporation for Assigned Names and Numbers (ICANN). The Africa DNS Forum brings together Top-Level Domain registries, registrars, and stakeholders from Africa and around the world to share, learn, interact and discuss ways of how the African Domain Name Space can be improved, by sharing experiences and best practices in the domain name industry at a global level, and of the emerging business opportunities. The forum is open to anyone interested in issues pertaining to the domain name industry and the business opportunities it can provide, and engage with key players and experts in the field. We expect participation from over 200 participants representing government, private sector, civil society, media and the technical community from the region and globally, interested in investing in the Africa Domain Name industry. Discussions will cover the state of the domain name industry in Africa, opportunities and challenges faced by businesses, entrepreneurs and Internet users across Africa. This will be the seventh forum following events in Durban, South Africa (2013), Abuja, Nigeria (2014), Nairobi, Kenya (2015), Marrakech, Morocco (2016), Dar Es Salam, Tanzania (2017) and Cotonou, Benin (2018). Stakeholders from Africa and beyond interested and involved in the domain name industry are welcome to contribute and participate in the event. AFREGISTRAR association includes all ICANN Accredited Registrars based in the African Continent, The AfRegistrars shall fulfill the role, responsibilities and functions of the AFREGISTRARS as defined within the ICANN Bylaws as referenced at [ICANN-BYLAWS]. BOCRA was established through the Communications Regulatory Authority Act, 2012 (CRA Act) to regulate the communications sector in Botswana, comprising telecommunications, Internet and Information and Communications Technologies (ICTs), radio communications, broadcasting, postal services and related matters. To establish, as Certifying Authority, an approved process for the production and certification of electronic documents records systems for purpose of integrity.